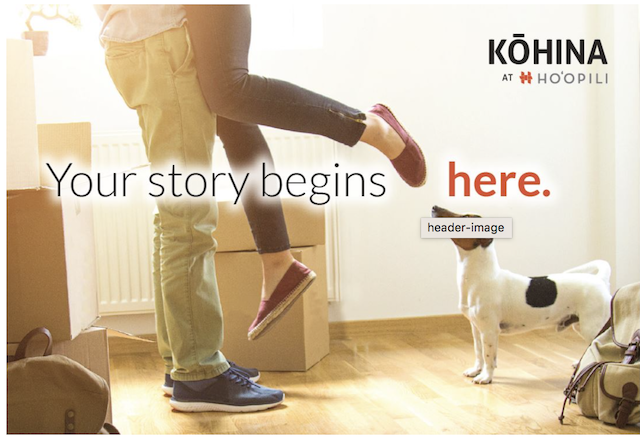 The highly anticipated Kohina at Ho'opili phase has officially release it's first 10 homes! The Ho'opili Master Plan was devised and developed by D.R. Horton Hawaii, the same developer that brought us the Mehana project in Kapolei and a Highlands at Kehalani in Wailuku, Maui. These new homes in Kapolei will be the first of the Kohina, but represent only a small portion of the nearly 12,000 homes planned for the entire Ho'opili project. D.R. Horton Hawaii aims to offer a dynamic product with this phase, providing 7 different home types spread over 40 different floor plans in hopes to appeal to nearly every family dynamic and size. 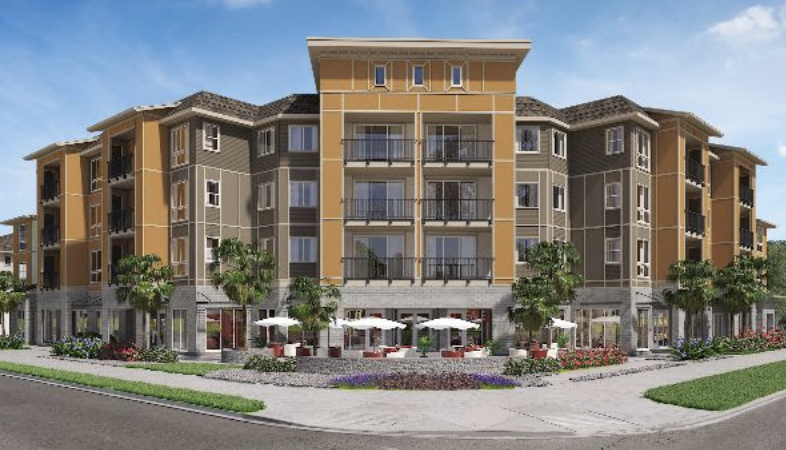 This specific release will feature 10 homes total; (5) 2- bedroom 2- bathroom townhomes and (5) FLEX Homes; a unique and widely popular home style that allows for a storefront below the living quarters of the home. 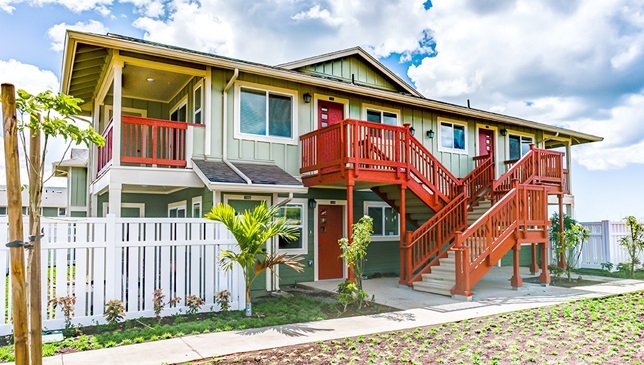 If you're familiar with the Mehana project in Kapolei, you may have seen a number of these FLEX Homes anchored by dentist and eye care offices, as well as Shave Ice & Acai Bowl venues. We expect the majority of floor plans to offer 1- and 2- car garage options, but not all. It's always recommended to verify this with your Ho'opili Sales Team member. One of the key features of Kohina at Ho'opili homes is the premier convenience of the phase, relative to the rest of the neighborhood. Kohina will be the closest to phase to the H-1 Freeway, the Ho'opili planned future rail station, University of Hawaii West Oahu, and since it features 3 different access points to Ho'opili, the developer is coining this phase as the "Gateway" to Ho'opili. Lottery Applications will be due at 5:00PM on February 22nd, with the Lottery Drawing taking place at 10:00AM on February 23rd. CLICK HERE to learn more about this unique project, to schedule a private tour of the Kohina at Ho'opili Sales Office, How to Apply, or to see Official Pricing & Specific Unit Specs! Kailua's Pali Lanes bowling alley has been deemed a "Historical Place" by the Hawaii Historic Places review board. For some, the designation is a victory as it may stall redevelopment plans proposed by landowner Alexander & Baldwin. In December 2017, A&B vocalized its plans to end the lease of Pali Lanes in 2019 and was immediately met with community opposition. The bowling alley has been a staple in Kailua for nearly 58 years and rumblings of redevelopment have left the community torn. 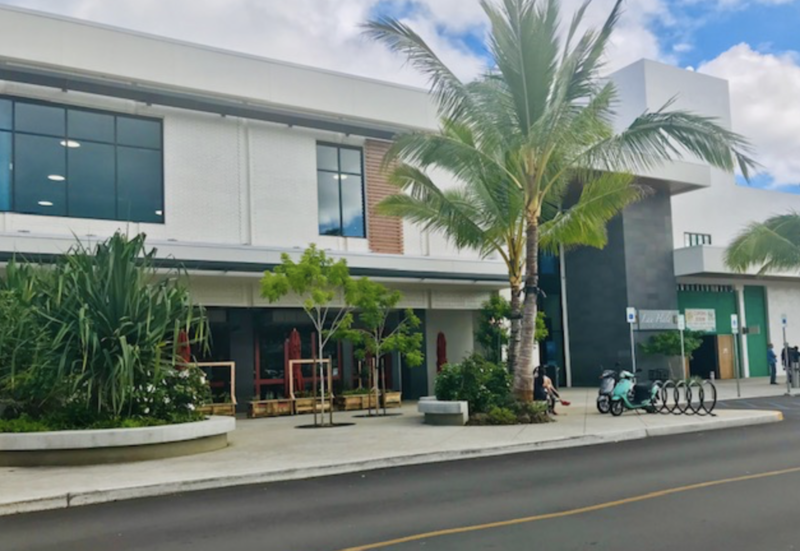 Pali Lanes' Hekili Street location represents key real estate in the heart of Kailua Town; a redevelopment hotspot that's seen a swath of new retail and dining venues emerge in the last decade. Lau Hala Shops, formerly Liberty House and Macy's, is right across the street and will soon see Down To Earth and Maui Brewing Company added to the tenant list of UFC Gym and the Roy Yamaguchi inspired, "Goen" restaurant. A&B recently sent out surveys to nearly 16,000 homes, asking for the community's input and ideas on what to do with the 1.7 acre site. Many Kailua residents would like to green, gathering spaces added to an area that's dense with brick, mortar, and parking lots. The vision would provide a new home for the Kailua Farmer's market, concert spaces, and other community spaces. Opposition to A&B would prefer to see Pali Lanes preserved as the iconic, inexpensive entertainment venue that's its been for nearly 60 years. 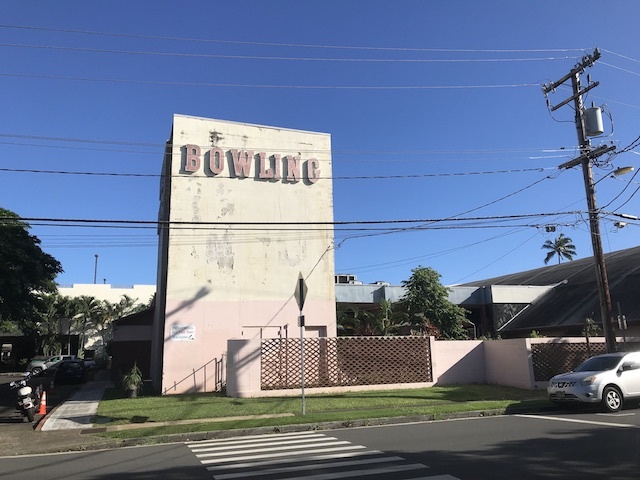 Community group, Our Kailua, leveraged social media to rally it's voice in support of keeping the bowling alley in place, including petitioning the state for the Historical Place designation and subsequently receiving it. A&B asked the Historical Places Review Board not to make a decision until the developer had more time to continue efforts with the community to find common ground. The company had been put all development plans on hold since initial community opposition to its plans, even extending Pali Lane's lease until 2020 while they work to provide more options for the site. Alexander & Baldwin will now face a stringent review process by the state's Historic Preservation division, should they decide to move forward with redevelopment. The UFC Gym franchise officially opened its Kailua location on November 17th. Located on the second floor of the newly developed Lau Hala Shops(formerly the Macy's building at 573 Kailua Road), UFC Kailua marks the 4th location in Hawaii for the rapidly growing franchise. The facility is touted by UFC staff as being the largest and most innovative to date, and as a member myself, I was impressed upon my first visit on opening day. While fitness has always been an inherent part of the Kailua lifestyle, comprehensive fitness options have been limited to date. A small boutique gym here, a Crossfit box there, but definitely no premium full-service facilities to serve the masses. Up until opening day, many Waimanalo and Kailua residents found themselves traversing over the hill to 24 hour Fitness in Kaneohe to get fit. Me personally, I hate driving. I drive for a living(sort of). So tell me I have to drive more than 5 minutes to a gym and you've isolated my biggest excuse NOT to workout. That being said, my workouts often consisted of running Kainalu and Kalaheo Drive like everyone else, or running, pushups, and pull-ups on my favorite tree branch at Kailua Beach. Now I don't take the scenery for granted for a second and there are definitely worse places to find your fitness. However, monotony is de-motivating nonetheless and it only takes one passing rains shower to drown my workout aspirations for the day. What I like most about this facility is the WINDOWS. If you've been to the Honolulu or Waikele locations you'll know that these are red and black caves. I'm as much a meathead as the next guy but for God's sake, let there be light! UFC Kailua put the red to bed did it right with light. Prospective members can also call (808) 800-2958 or visit UFCGYM.com/Kailua. Sky Ala Moana, one of 8 new condominium projects being proposed for the Ala Moana neighborhood has received final approval from the Honolulu City Counsel. The approval provides a clear path for constructing the project on-site of the current Kenrock complex on Kapiolani Boulevard. Sky Ala Moana will be a Condo-Hotel, or "condo-tel" for short, and plans to bring two towers to market. The "Hotel" tower will permit owners to operate their homes as legal vacation rentals when they are not occupying the home for their own leisure. The second tower will provide for traditional, residential ownership. With an earmarked budget of $510 Million, Sky Ala Moana expects to deliver 474 total units, 300 of which will be condo-tel units, as well as 84 units set aside for Affordable Housing pricing(Read up on Affordable Housing FAQ's here). Owners and vacation tenants alike will enjoy the vibrant Ala Moana neighborhood, with retail, dining, and entertainment opportunities abound. Only steps from the mega-mall of Ala Moana Center and mere blocks from Ala Moana Beach Park, residents will provided exceptional convenience to some of Honolulu's most iconic venues. Since the project will be constructed in a Transient Oriented Development zone, the city will permit the developer to build Sky Ala Moana up to 400 feet tall. The typical ordinance only allows for building heights of 250 feet in the area but the exception is made due to the project's proximity to future Honolulu rail transit stations. The developer is targeting 2023 for delivery of its first units to market. For more information on the project including but not limited to artist renderings, estimated pricing, and sales CLICK HERE. AVAILABLE: Estimated delivery of units is March 2019. *Features vary per plan. Confirm with sales agent. Interested in learning more about the project and the upcoming lottery? Register on the INTEREST LIST below to schedule a tour of the Model Home and/or for information on how to REGISTER FOR THE LOTTERY. NOTE FROM THE AUTHOR - As we tell all of our clients, our goals are purely to facilitate yours. We're here to address any and all questions, ideas, or fears you may have about our unique real estate market and/or the homeownership process so that you can make well informed decisions. While we understand you have 5,000 real estate agents to choose from on Oahu, we encourage you to Meet The Homeboys to get an idea of the level of service and guidance we aim to provide, when you need it. ***All Information and photographs are courtesy of D.R. Horton. Photographs and drawings are representational only. 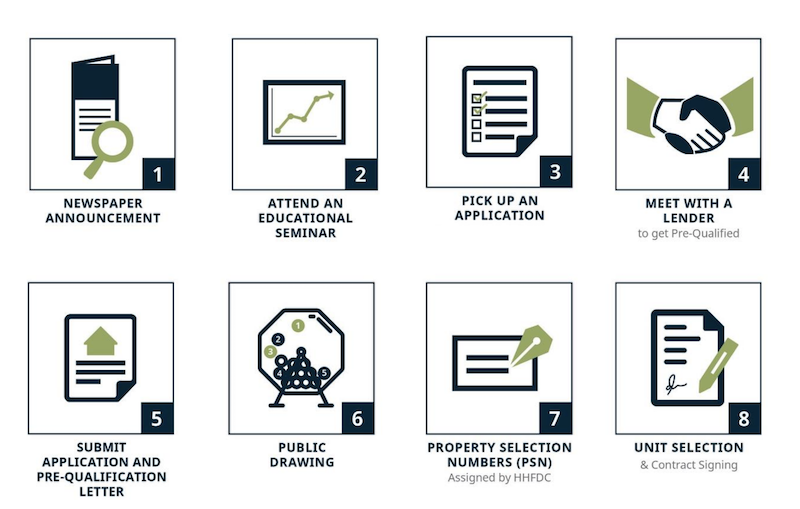 Home and community information, including pricing, included features, terms, availability and amenities, are subject to change at any time without notice or obligation. Drawings, renderings, square footages, or plans, elevations, features, colors and sizes are approximate and for illustration purposes only and will vary from the homes as built. Not all features available in all plans. Options and upgrades are available at an additional cost and are subject to construction cut-off dates. See any Ho‘opili sales agent for complete details including warranty. Your Guide to What, Where, Why, & Do You Qualify? Honolulu Affordable Housing in the Oahu real estate market is a hot, and often misunderstood topic in a state with short housing supply, and some of the highest home prices in the nation. Most are aware of the new residential condo towers popping up in the Kakaako and Ala Moana Skylines, however, most aren’t aware that developers are actually required by state law to offer a certain number of units for sale under Affordable Housing guidelines. With a few hundred affordable units offered for sale and sometimes thousands of applicants, the supply never meets the demand. The Ala Moana neighborhood is seeing the greatest influx in new condo projects and may offer as many as 5 residential towers, a condo-tel, and rentals. Affordable Housing will be offered by each project in some capacity; but whether it’s for sale or for rent is to be determined. Considering affordable housing? See some of the common FAQ’s and guidelines below to help you determine if you might be eligible. The Hawaii Housing Finance and Development Corporation(HHFDC) operates as the overseeing agency of all affordable housing in Hawaii. The development and financing of the affordable housing units is operated by the agency as well. What advantages does HHFDC's Affordable Housing provide? Qualified and eligible applicants of the program are given an opportunity to purchase below market prices. Opportunity to live and own in a new construction project in Metro Honolulu. With the height of Oahu home prices today, a common theme amongst many of my clients is the scenario by which buying a home equates to a downgrade in preferred location or quality of home, relative to their rental. Putting aside the many benefits of homeownership vs. renting, this can be true. The Affordable Housing Program can offer opportunities for a more lateral move -- providing homeownership options to a prospective buyer in locations or of a quality that wouldn't normally be in the budget. But again, with restrictions. Are you eligible for Affordable Housing? Eligibility for the program is ultimately determined by HHFDC’s review of the information provided on buyers’ applications. Resident of the State of Hawaii; currently resides in the State of Hawaii. State ID or Drivers License is typically requested as proof. Applicant must not own a majority interest (more than 50%) anywhere. Yes, anywhere. On top of being eligible for Affordable Housing, buyers must also qualify by showing they have gross income(s) that satisfy a mortgage lender’s guidelines to purchasing a home. Are there income limits for Affordable Housing? Yes. 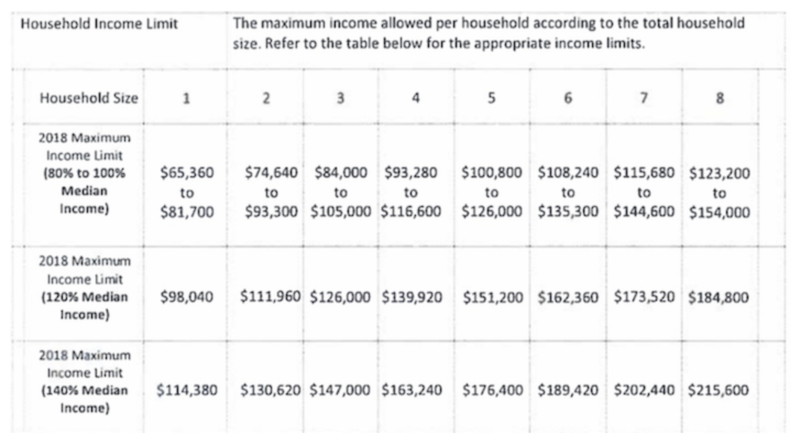 Buyers’ eligibility is determined by their household income being no greater than a specified area median income(AMI) determined by HHFDC(Usually 120-140%). Take a look at the chart below for the 2018 AMI; note your household size at the top of the chart. Buyers wishing to purchase Affordable Housing unit must know that they are required to own and occupy their unit for 10 years. Should they look to sell, rent, or transfer ownership of the home prior to the 10 year buyback period, HHFDC is given first right of refusal to purchase the unit. Once the 10 years buyback period expires, the restriction no longer applies. I do my best to have my clients "crystal ball" their futures for the next 10 years as a decade is a long time, and a lot can change in terms of family dynamics and income. Make sure you consult your Realtor to gain full perspective on what you can and can't do as an Affordable Housing owner, and how that may affect your real estate future going forward. For some, Affordable Housing is a perfect fit. For others, it may handcuff them from their accomplishing their long term Oahu real estate goals. Yes. Buyers are required to make a $500 good faith deposit upon signing a contract for a unit. A total deposit of 5% of the purchase price, less the $500 good faith deposit is due after 30 days. Shared Equity Program — What is it? 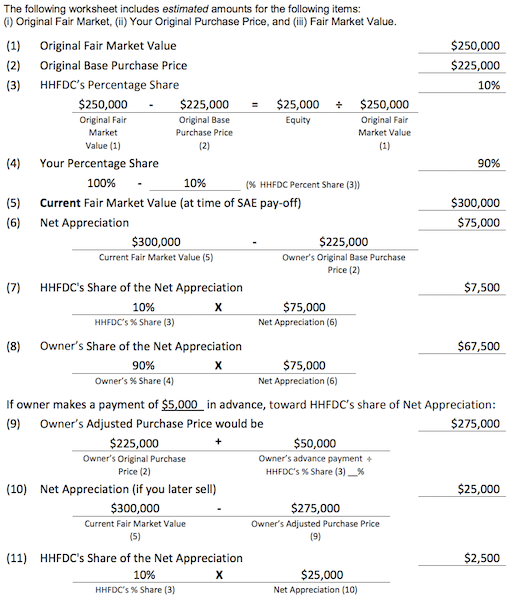 One of the caveats to the HHFDC allowing buyers to purchase at below market prices, is the Shared Appreciation. In turn when you sell your unit you will share some of the net appreciation back with the HHFDC to help fund future projects. The SAE is determined prior to closing and once determined, will never change. What’s the next Affordable Housing opportunity if I’m curious about buying? Those looking to purchase the Metro Honolulu area should look to the Ililani condo project (coming soon) near SALT at Kakaako, Sky Ala Moana condos( now selling Market Units, Affordable coming soon), The Central Ala Moana condos (now selling, current availability may be limited) and. These are exciting projects in highly desired Honolulu neighborhoods that are quickly transforming into thriving urban epicenters. Those looking at homeownership in West Oahu should look to the Ho'opili project; more specifically the Kohina at Ho'opili project that is currently selling Market Priced units, but estimated to bring Affordable Housing units later this year. Ho'opili is centered between Ewa and Kapolei, anchored right next to the future planned Honolulu Rail, and just north of the new Ka Makana Alii mall. We expect Ho'opili to consistently offer affordable housing opportunities as new phases are released. Last not but not least, the highly anticipated Koa Ridge (coming soon - I know..we've been saying that forever) project in Central Oahu will also be offering affordable housing units with estimated sales to commence in 2020. If you would like to be the first to know about future New Condo and/or Affordable Housing opportunities, register on the Interest List below! 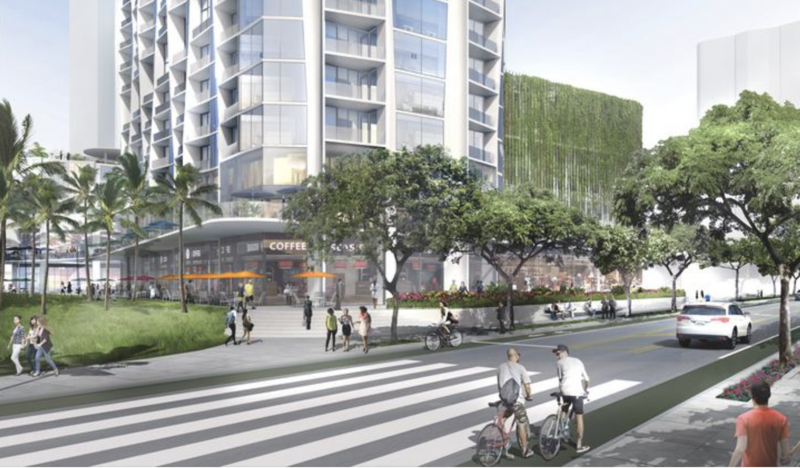 Koula, the next planned mixed-use residential condo tower at Ward Village in Kakaako, received approval last week from the Hawaii Community Development Authority. Now that the project is approved, the Howard Hughes team will start trekking towards planning the project and toward their target sales launch date of late 2018, or beginning of 2019. Howard Hughes hopes to break ground late 2019. Koula will be the first project ever designed in Hawaii by Studio Gang, architect and design firm led by decorated architect, Jeanne Gang. 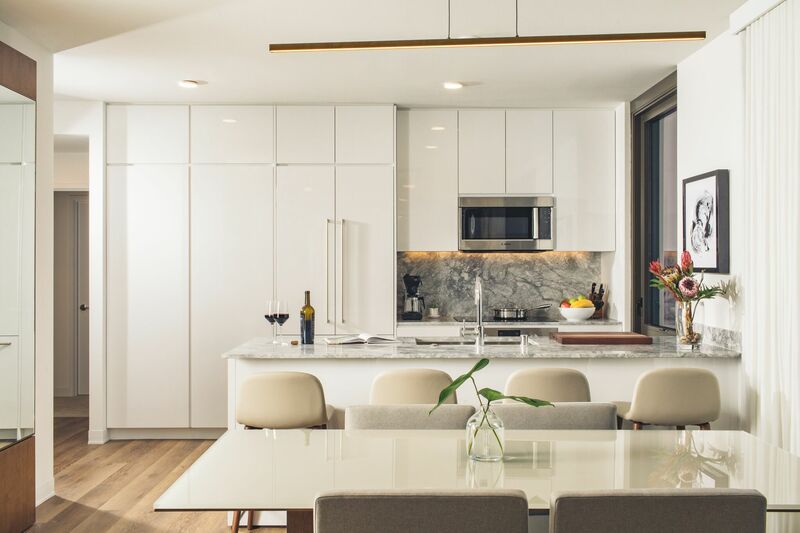 The interiors of Koula will be reflect the design of Yabu Pushelberg, a highly-acclaimed international design firm with offices in Toronto and Soho. Located adjacent to the Central Plaza, Koula's location within Ward Village makes it one of the most convenient towers to the Central Plaza; Ward Village's sweeping, open air gathering place that aims to connect the community with a wide array of restaurants, retail, and parks. The Central Plaza will be a hub to outdoor community events ranging from yoga to outdoor movie viewings, and live local music and hula. Over an acre of amenities will be available on the 8th floor amenity deck and will including an astonishing swimming pool, a swim and play area for the kids as well as poolside cabanas, sunset lounge area, an expansive lawn, and multiple dining terraces surrounded by a sea of lush, meticulously manicured landscaping, native to Hawaii. 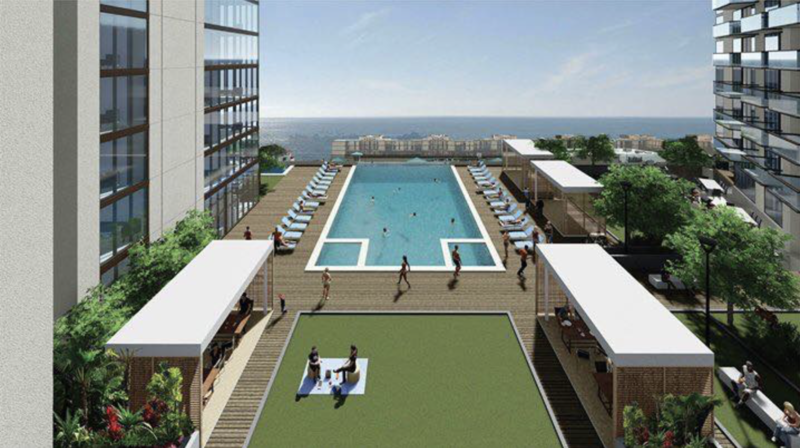 Rest assured gym rats, the amenity deck will feature a spa and fitness club. For more information, artist renderings of the project, and to sign up on our INTEREST LIST to receive the most accurate, real-time updates from the developer, click HERE. Kapolei has long been known as Oahu's "Second City". As Kapolei, located on the Ewa Plain of Oahu, matures into the vision that the City and County of Honolulu set forth many years ago, a mix of older communities and new developments combined give it the character that you see today. Real Estate in Kapolei continues to thrive as Oahu's limited inventory of homes cannot keep up with the growing population and demand for housing. The silver lining in all of this is that Kapolei still has some of the lower priced real estate for buyers looking to own a piece of Hawaii real estate. 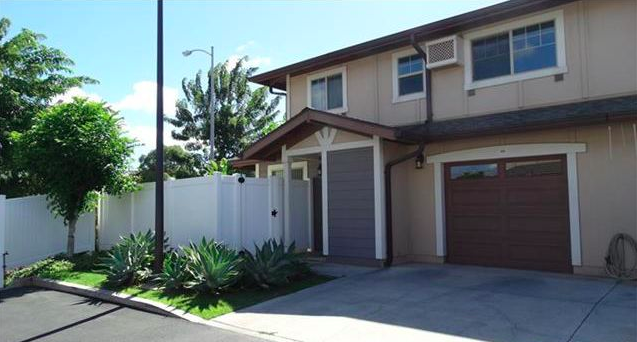 There are a lot of home buying options in the new 2nd city of Kapolei from townhouses to estate homes. 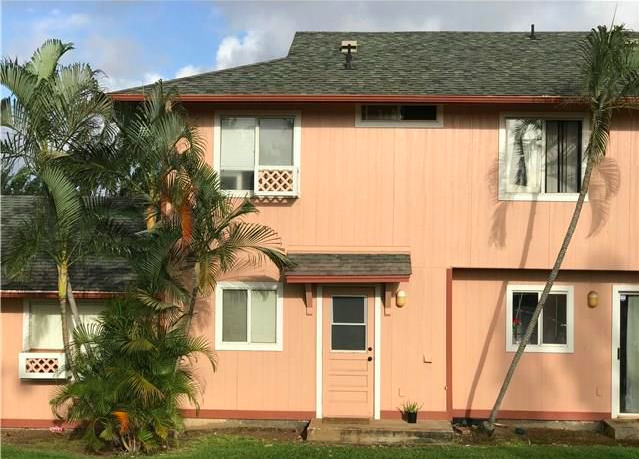 If you are looking to get your foot in the door to homeownership on the island of Oahu, then Kapolei will truly give you a newer home with good space to grow a family at an affordable price. Would you like to know FIRST when properties like these hit the market? Our database is updated every 5 minutes and all you have to do is SIGN UP HERE to receive updates on all new listings just like these! Honolulu's Ala Moana Center will soon be home to a two level, 17,300 square foot UNIQLO store set to open in the fall of 2018. The official store launch will be preceded by a pop up store that's planned for June this year. Further details on the pop-up store are yet to come but we foresee this joint to be wild son. 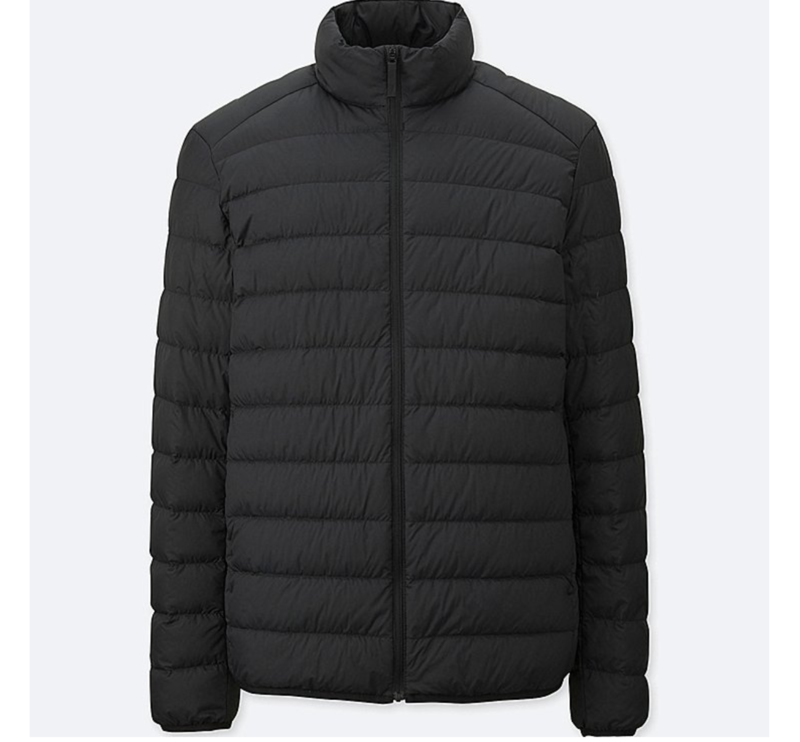 I know a gang of people on a personal level who flock to various cities in Japan on a weekly, monthly, yearly basis; strategically packing their suit cases to insure a little room for some "ultra light down" outerwear and other UNIQLO gear. 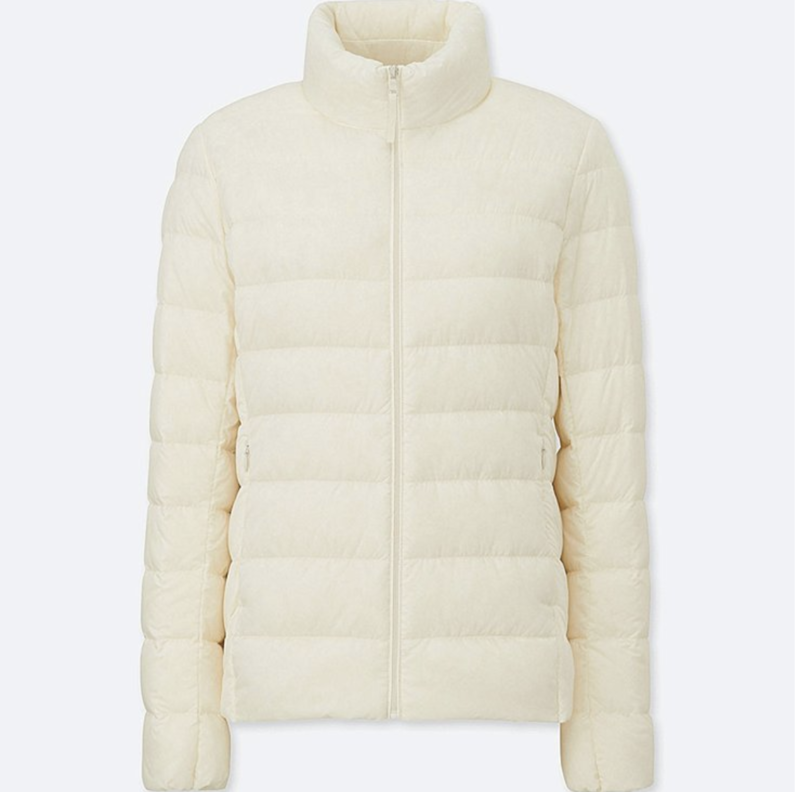 And that's the best part -- this compact, water repelling, feathery little gem of jacket fits compactly into an included carrying case, requiring literally just a little room in your carry on bag. Not familiar with the product? I bet you are... Just wait for the Honolulu temperature to drop to 60 degrees and watch the Michelin-Man shaped millennials start to pop out. But if that doesn't ring any bells, head to Pike's Market in Seattle and lookout for the usually black, ribbed, outer-shell that's wicking rain while you're walking wet. OR, spot the jackets on a local family wandering aimlessly through a Portland Ikea while visiting their college kids on winter break. You get the picture, and if you don't, then here's the picture. The most obvious reason being that Hawaii is heavily influenced by Japanese culture, and more predominately, Asian culture. 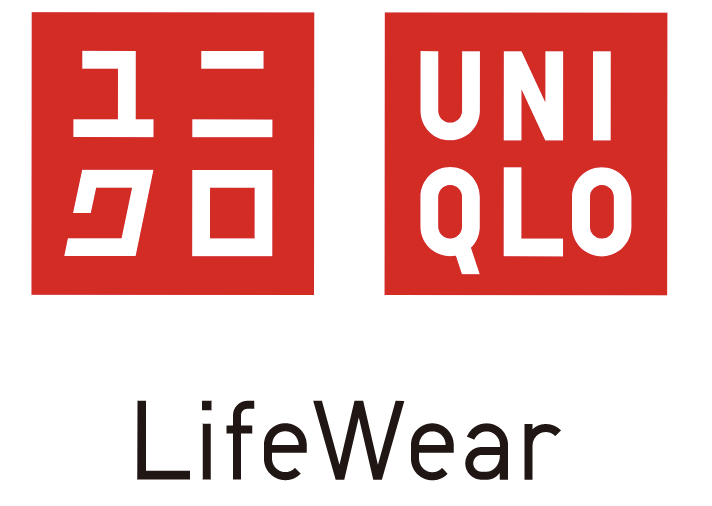 UNIQLO's brand awareness and market share is naturally strongest in the Asian markets closest to it's origin. The apparel has an inherent set of Japanese values with focus on simplicity, quality, and longevity. The company also puts a lot of stock into sustainability, a value that's also reflected in Hawaii's desire to protect its delicate ecosystem. It only makes sense that it would catch fire in Hawaii, a state comprised of over 500,000 Asians and only a stone's throw from its largest markets. This isn't taking into account the droves of Japanese visitors shedding their UNIQLO jackets for an Aloha shirt after touching down at Honolulu's Daniel K. Inouye Airport, and then putting them back on before reaching 10,000ft on the flight home. Which makes for the perfect segue into the next theory. TRAVEL. We've got family to see, mountains to ski, and for some of you, gambling needs. So with baggage fees dependent on quantity of bags, size, and weight, Hawaii people can't afford NOT to have a slim, convenient way to stay warm and conserve space when headed to a different climate. Regardless of the destination's climate, the airplane can feel like a nippy fall night in it's own right. Leave it packed in its carrying case and you've got a pillow. Bust it out inflight and you've just saved $10 on a branket. If they're smart, they'll sell them on the duty free cart. If they're fair, they'll provide a lifetime 50% discount to the guy who told them to. I've mentioned it already but they save space! Relative to mainland homes, most Hawaii people are accustomed to living in SMALL houses with SMALL closets. The last thing we have space for is bulky winter clothes that we only get to use when we get a buddy pass off the rock. Hawaii Homes are getting SMALLER too. A new Ward Village condo project named Aalii in Kakaako is currently selling units as small as 300sqft. 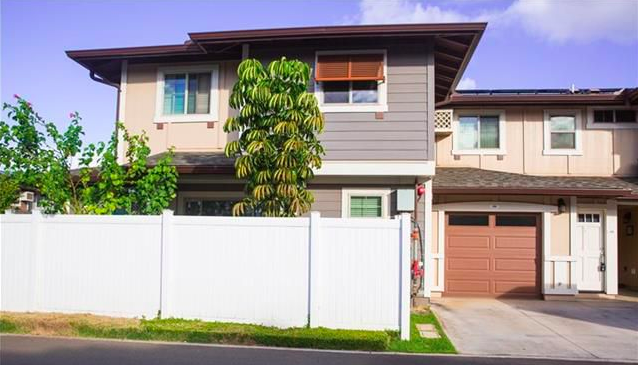 A new single family home project in Ewa & Kapolei named Hoopili is currently selling homes with an option for a 400sqft Accessory Dwelling Unit(ADU). UNIQLO's tiny coat translates perfectly to the Oahu's emerging tiny home movement. I've talked a lot about one piece of UNIQLO's apparel but frankly they're a clothing line that very much appeals to all walks of life. Hence their mantra, "LifeWear." The company understands its consumer base is spread amongst a vast landscape of different climates and environments. Take mainland China for example; the 4th largest country in the world with as much or more climate variety as the United States. 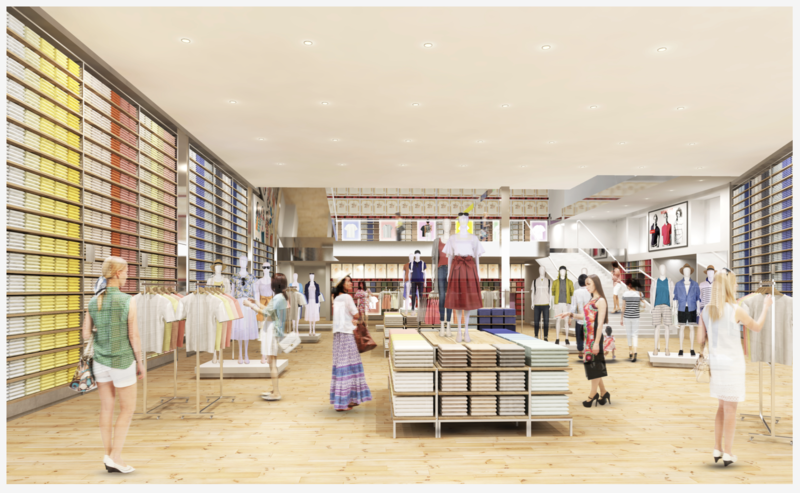 UNIQLO'S Central Ala Moana store in Honolulu is sure to be a hit amongst Hawaii residents, especially in offering their latest concept AIRism, which promotes cool, moisture wicking, active wear. With Honolulu being one of the fittest cities in the nation, its only fitting that the company's first store be right across the street from the hundreds of health conscious Honolulu residents getting their heart rate up at Ala Moana Beach Park everyday. Another popular concept is UNIQLO'S UT Graphic Tees that carefully collects authentic cultural content, promoting the individual to "Wear Your World," as they put it. With no shortage of culture, we would love to see UNIQLO bring some Hawaii inspired tees to market. From the natural landscapes of land, air, and sea; to the hip, urban, art and architecture inspired streets of Kakaako, we see a ton of opportuniTEES. 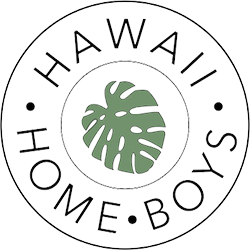 Stay tuned for more updates as the store launch approaches and FOLLOW US @hawaiihomeboys!